Tight hip flexors can be an annoying sensation for many lifters. From interfering with squats and deadlifts, to limiting comfort during simple tasks such as walking, tight hips should be addressed…but how? What Does “Tight” Even Mean? Before we come up with a solution for tight hip flexors, we need to know if they are actually “tight”. And before we know if they are “tight”, we must define what “tight” even means! In a general sense, tightness is a perceived sensation of a muscle feeling short or stiff; however, many times, that muscle is not even physiologically short. In this case, the nervous system is just keeping the hip flexors in a state of increased tone…so they “feel” tight. This scenario, in my experience, accounts for the majority of lifters who suffer from tight hip flexors. The Thomas Test is traditionally used to determine hip flexor tightness. To perform, sit on the edge of a table, pull one leg to your chest, then lie back. If your other leg remains flat on the table and your knee can bend to 70-90°, congratulations…you DON’T have tight hip flexors! 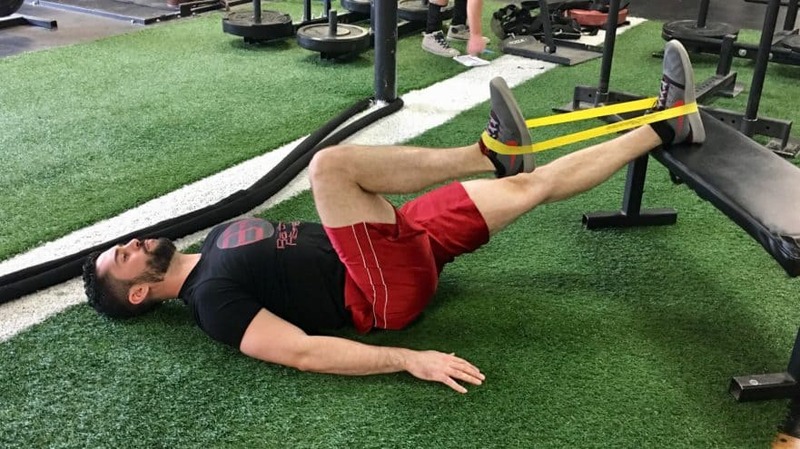 If you can do this…your hip flexors aren’t tight! Did you think you had tight hip flexors? Have you been stretching them repeatedly only to find out after performing the Thomas Test that they aren’t really tight?? Are you now wondering why they feel tight all the time? Here are a few reasons. Because they’re weak. What happens to a muscle when you repeatedly stretch it but never actually contract it and load it? It weakens. Sensitized muscles don’t like being stretched. It’s like putting your fingers in a Chinese finger trap, pulling over and over again, and thinking it will solve things…it doesn’t. 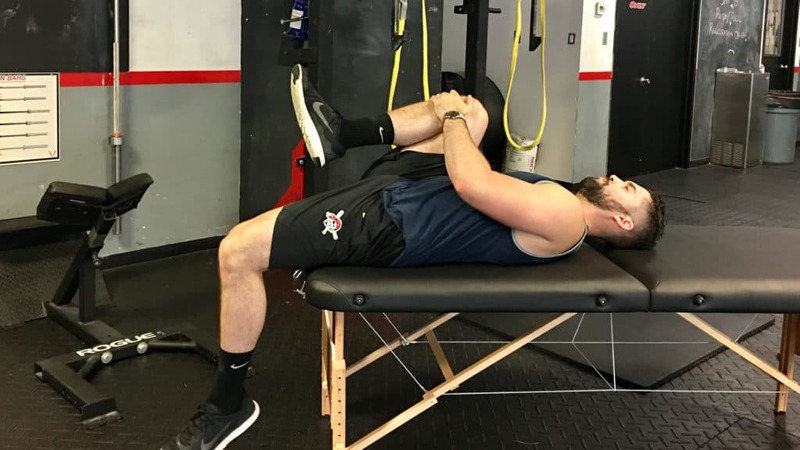 As much as I’m a fan of squats, deadlifts, cleans, and lunges, none of these exercises actually load the hip flexors into their shortened position (above 90°). Here are some exercises you can try to strengthen your hip flexors. The supine hip flexor march is a great exercise to strengthen the hip flexors. You may notice that the affected leg (the one that hurts during squats) may be significantly more difficult than your other leg. This is normal…and this is why you need this exercise! The standing hip flexor march is also another great variation. These are more difficult than the supine variation, as the hip flexors have to contract against the band and gravity. Hip discomfort during your workouts isn’t fun. Whether you’re having hip pain during squats, or perceived tightness during your regular activities, something needs to be addressed! If stretching hasn’t resolved your issues…maybe it’s because your not “tight” after all. Cut the endless amount of stretching and work on strengthening your hip flexors instead!